Abdominal inflammation and bloating go beyond being aesthetically annoying. Most people who suffer from this focus on their appearance because they want their stomach to look flat and trim. It usually happens when you have indigestion caused by poor food choices or overeating. It can also occur when your body is having trouble digesting certain foods, such as vegetables, meats, and dairy products. Finally, premenstrual syndrome and the build up of gas in your intestines are two other common causes of this irritating problem. For now, there are some over the counter treatments that help reduce bloating and alleviate some of your symptoms, but these types of cures aren’t 100% effective and they contain chemicals that can cause negative side effects. The good news is that there are alternative natural ways to relieve pain, fight inflammation and improve abdominal bloating without any risks. Are you ready to find out what they are? Odds are your bloating and inflammation resulted from eating very acidic foods or having a heavy meal. Apple cider vinegar combined with water is one way to reduce the acid levelsin your stomach, improving your body’s overall function and reducing inflammation as a result. Mix one teaspoon of apple cider vinegar in a cup of water and drink this before or after a meal. 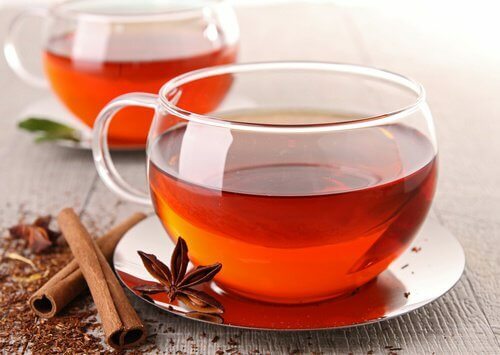 Cinnamon is a spice that contains digestive properties which can help support your body in detoxifying and treating abdominal bloating and gases. Heat a cup of water and add a small teaspoon of cinnamon. Let it steep for 10 minutes, add a little honey, and enjoy. Chamomile has anti-inflammatory properties that promote good intestinal health and alleviate stomach pain. Heat a cup of water and add two teaspoons of dried chamomile flowers. Let them simmer for 15 minutes. Remove from heat and drink this after your mid-day meal. Ginger is well known for its anti-inflammatory powers that can improve your health in many ways. Ginger helps reduce abdominal pain, fight nausea, and speed up your metabolism. Ginger tea is specifically recommended for weight loss because it’s thermogenic, meaning that it improves your body’s ability to burn calories. Grate half a teaspoon of ginger and add it to a cup of boiling water. Let it steep for 10 minutes before drinking. Thanks to their high fiber content and essential fatty acids, these seeds improve your digestion and fight gas to eliminate bloating and inflammation. How should you consume them? 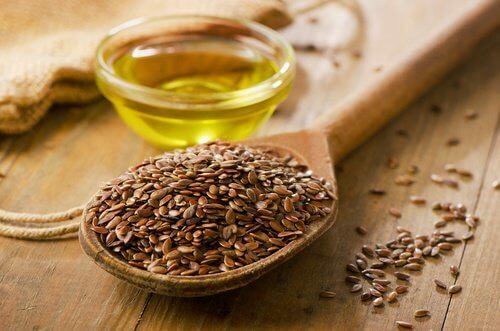 Soak a tablespoon of ground flaxseed in a cup of water overnight, and drink it in the morning (along with the water). Tomatoes have a very high antioxidant content that cleanses your body and helps eliminate waste, improving the function of many of your organs. Regular consumption of tomatoes is recommended for burning fat because they also contain fiber and phytonutrients, plus a significant amount of water. Add five organic tomatoes, half a cup of water, and a little lemon juice to a blender. Enjoy this juice any time of day. This is one of the most famous beverages for reducing inflammation and fighting the fat that builds up in the abdominal region. In addition to those benefits, green tea also contains numerous antioxidants that regulate your cholesterol and protect you against the effects of free radicals. Add a couple of tablespoons of green tea to a cup of boiling water. Let it steep for 10 minutes before drinking. This all-natural juice combines two great diuretics that facilitate the removal of toxins and excess fluids to reduce abdominal inflammation. 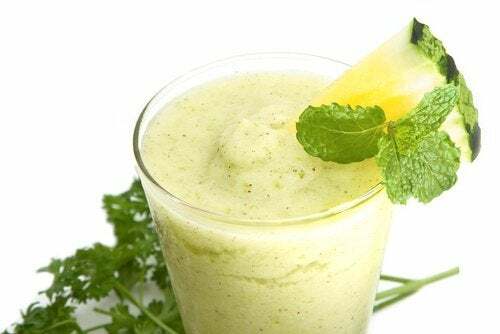 Thanks to their supply of nutrients, vitamins, and minerals, this juice is recommended for weight loss and better skin. Drink this without straining it, either on an empty stomach or after your main meal. 9 Signs That Your Partner Is Emotionally Destroying You: The Ninth Is The Vilest! BE CAREFUL, TUNA MAY HARM YOUR HEALTH! Make Your Feet Look Nice With These Two Ingredients From Your Kitchen! SEA SALT AND UNREFINED VEGETABLE OIL: HEALING MIXTURE AGAINST OSTEOPOROSIS! Selfies Are Ruining Your Beauty – Constantly Snapping Yourself Will Make You Ugly And Sick!